More about Balinot only diving.. When you are looking for a (dive) holiday in Indonesia and don't want to be part of a larger group then you opened the right website. All the holidays we make are made exactly as you want them to be. One week in North Sulawesi, 4 days on a liveaboard in Komodo and 2 weeks Papua; with a dive course as well? No problem. We will make an itinerary for you covering EVERYTHING from the moment you arrive until the moment you leave Indonesia. And by the way, it doesn't have to be ONLY diving. While you are here in this huge Indonesian archipelago why don't you visit an orangutan reserve, go rafting or climb a mountain. After all those activities you can end the holiday for a couple of days in a private bungalow near the beach... if it exists we can arrange it! After nearly 14 years in Indonesia we know a lot about this country and have done (almost) everything we recommend ourselves. If you want something we don't know from personal experience we will tell you. So who are we; click here for more information about us. 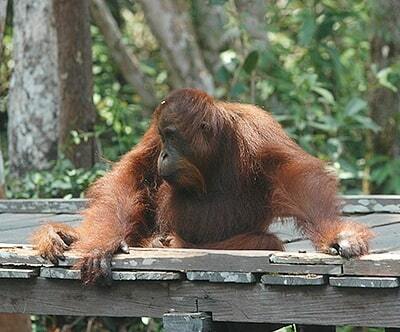 There are reserves for Orangutans on Sumatra and Kalimantan. The Leuser Park in North Sumatra is reachable by flying to Medan and a 5 hour drive to a village where the entrance is located of this nearly 8.000 km² of unspoiled, but now under threat, rain forest. Tanjung Puting through a nearby airport in Kalimantan. Explore islands from east to west or vice versa with a private car or bus and the accommodation suitable for your budget. Visit Java, Bali, Flores or any other island how long you want with your personal itinerary (provided by us) and transportation. 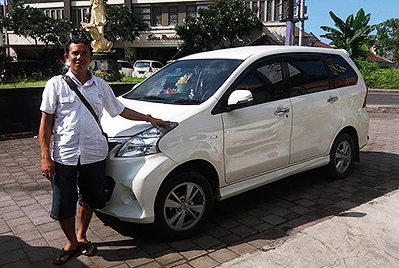 One of our Balinese drivers (Nengah), ready to go! Liveaboards can be found all-over Indonesia. Most popular are the liveaboards around West Papua (Raja Ampat and below) and the Komodo Islands. 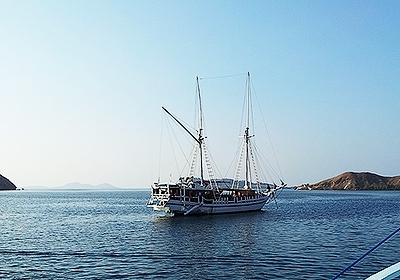 Starting point for Komodo would be Labuan Bajo, Flores, or it would be a Bali - Komodo - Bali tour. For Raja Ampat it's usually Sorong or Fak-Fak. Many dive operators also provide Scuba training from an internationally recognised scuba organisations such as SSI, PADI or CMAS. Entry level course will only take 3-4 days and could be the start of a new hobby...We can fit in a dive course as part of your itinerary. Indonesia has many areas where you can go Trekking. This can be a day tour or multiple days with sleeping overnight along the way. 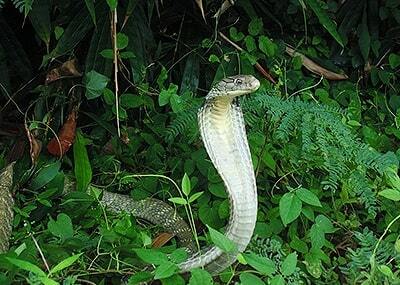 Or you can join the Bali Reptile Rescue on an expedition to find one of the many snakes in the wild. 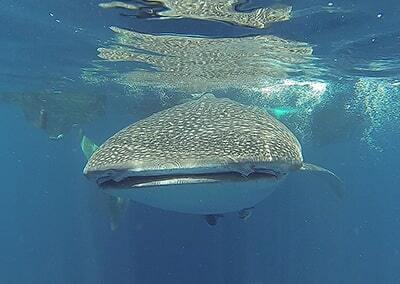 To meet a Whale sharks underwater is a magnificent experience. There are only a few places on earth where an interaction as we had is possible. One of these place is a bay in West Papua. Can be easily combined with a trip to Raja Ampat or Biak. Wreck diving around Bali, Sulawesi or Papua. 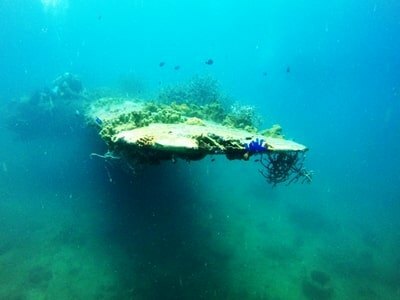 If you are really interested in wrecks we have a spectacular itinerary for you which will bring you to WWII plane- and ship wrecks accessible from land. Not always luxurious but very memorable dive trips! 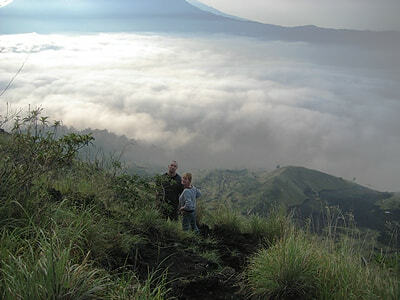 Go climb a mountain in Indonesia; there are numerous (active) volcanos on all the major islands. The most well-known are the Mt. Bromo on Java, Mt. Agung and Mt. Batur on Bali, Mt. Rinjani on Lombok and the 3-coloured lake inside Mt. Kelimutu on Flores. 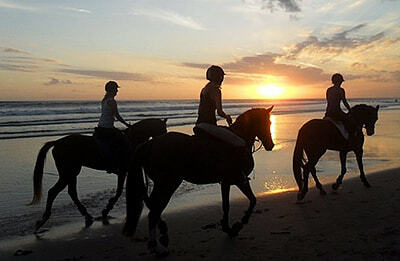 Horseback riding is not hugely popular in Indonesia but there are always stables to be found. 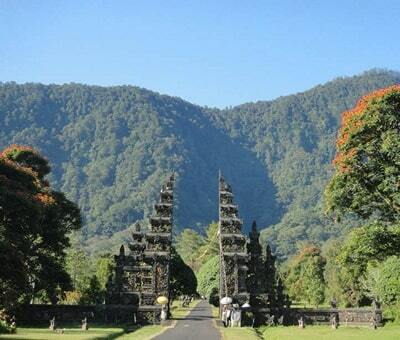 For example in National Parks like in the northwest of Bali or the mountains near Manado - Sulawesi. 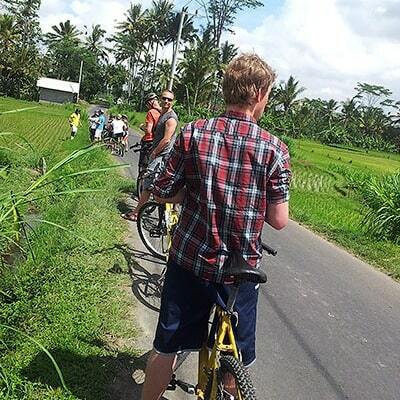 Bicycle tours in Bali, Sulawesi or around Lake Toba in Sumatra. Easily arranged as a one-day event or spanning multiple days with overnight stay in villages along the way. 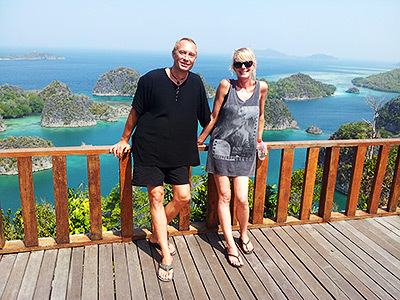 Let us introduce ourselves: we are Joan Keijer and Eelco Nieuwenhuis, a couple from the Netherlands and living in Bali since 2002. In Leiden Joan had her own practice working as a physiotherapist and Eelco worked as a structural engineer. Over the past 20 plus years we have been traveling around Indonesia and the beauty of this country made us decide to move here permanently. First we would like to tell you a bit of history; we started diving back in Holland in 1993, and since then have been diving all over the world. A lot of the diving took place in Indonesian waters and for good reasons. We still think diving around this archipelago is on the whole, the best in the world. We bought a piece of property in Bali near Pemuteran up North and we moved here with the idea to start a dive operation. 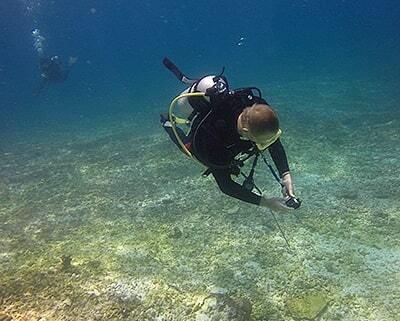 We exported furniture for a couple of years and in our spare time became PADI dive instructors. We combined exporting furniture with freelance teaching in Bali, Lombok and Manado, Sulawesi. However, the passion for diving eventually made us reconsider and we decided to focus completely on diving again. This is why we decided not to start a dive operation but instead to start Bottles-Up Diving to create (dive)holidays custom made, by using those facilities which we experienced over the years to be the best. And since we are not affiliated to any specific dive operator and/or hotel we will send you to those places we know a re best suitable to the needs and wishes of you, the customer. BAWA, The Bali Animal Welfare Association is a not-for-profit organization registered in Bali, Indonesia and is dedicated to improving the lives of animals. BAWA's mission: relieve suffering and overpopulation by providing medical care, spay and neutering, street-feeding and adoption, and by educating children and adults in animal welfare. They heavily rely on the kind efforts of their volunteers and donors, including their partner organisation in Australia, The Bali Street Dog Fund. They need your support. Also known as the veined octopus is a cephalopod belonging to the genus Amphioctopus. The main body of the octopus is typically around 8 cm in size, and, with arms, 15 cm. Found in tropical waters of the western Pacific Ocean. It commonly preys upon shrimp, crabs, and clams. Researchers observed their bipedal walking and gathering and using coconut shells and seashells for defense and shelter. 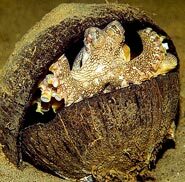 They saw the A. marginatus collecting coconut shells, discarded by humans, from the sea floor, carrying them up to 20m, and arranging the shells to form a spherical hiding place akin to a clamshell. Although octopuses often use foreign objects as shelter, the sophisticated behavior of A. marginatus when they select materials, carry and reassemble them, is far more complex.